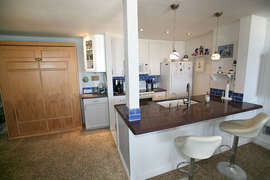 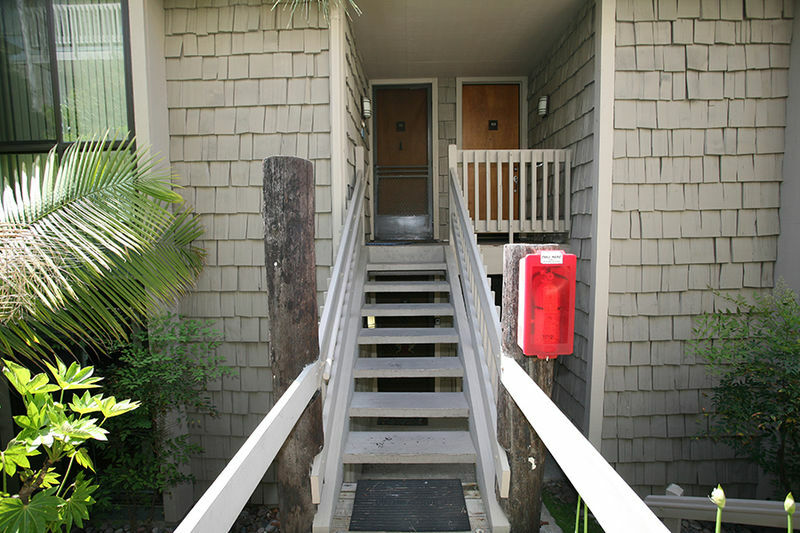 Welcome to D4 - Lighthouse on the Shore, an upper level pier view cottage located in North Coast Village. 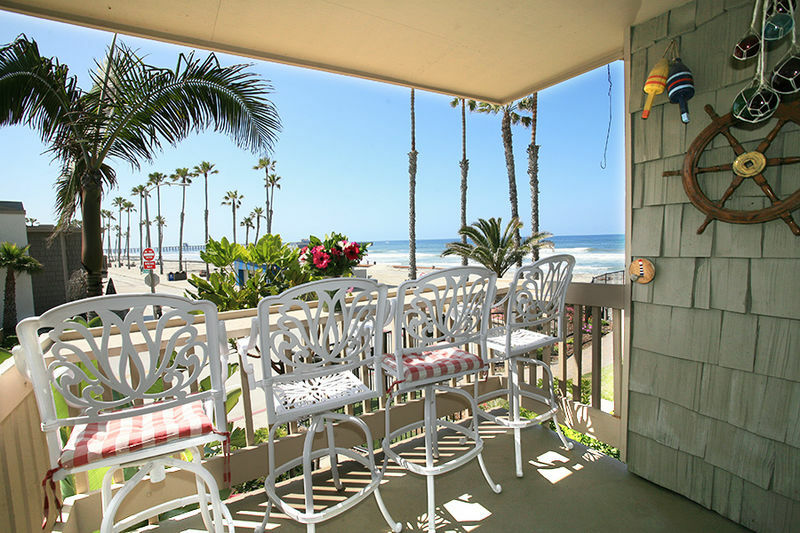 Lighthouse on the Shore faces Southwest down the beach and from the patio, living room, and kitchen you can enjoy a view of the ocean, sandy beach, and pier. 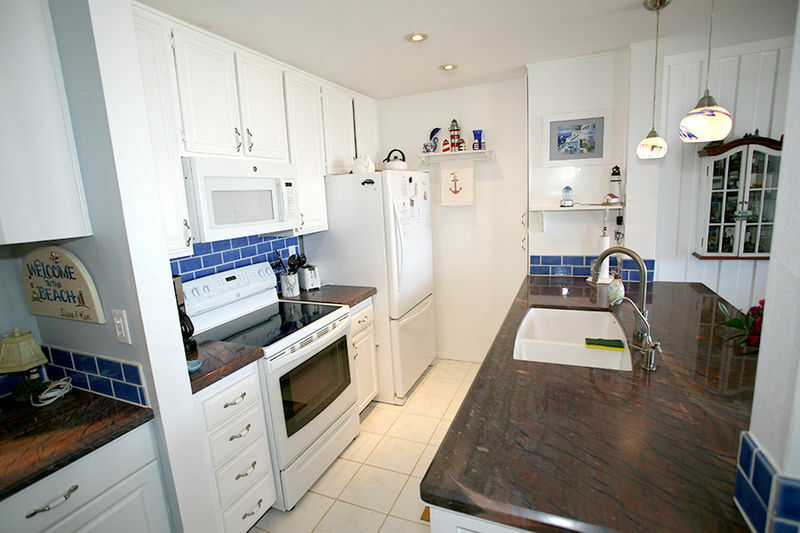 You will be instantly smitten with D4 upon entering the cottage as the owners take great pride in their condo and are constantly renovating to maintain the condo in pristine condition so you feel at home. 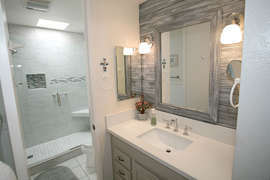 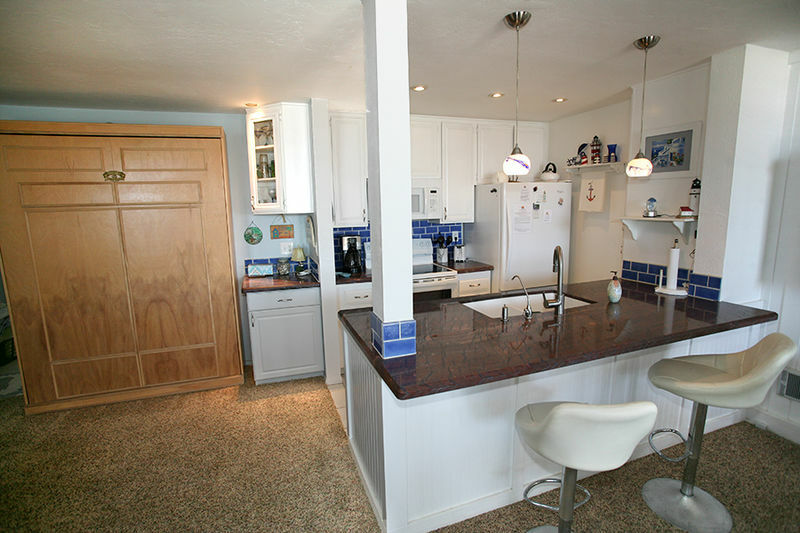 The most recent renovations were the custom frameless walk in shower, extended counters with beautiful granite countertops, and cobalt blue backsplash tiles. 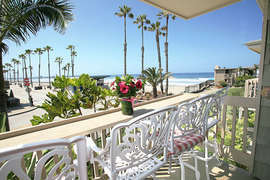 You can sit back and enjoy the breathtaking view from the bar chairs on the custom tiled patio. 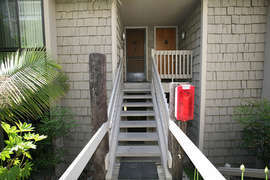 The sand is accessible just below the condo through the key controlled security gate. 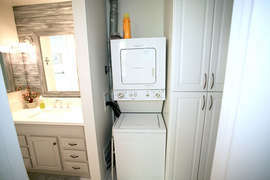 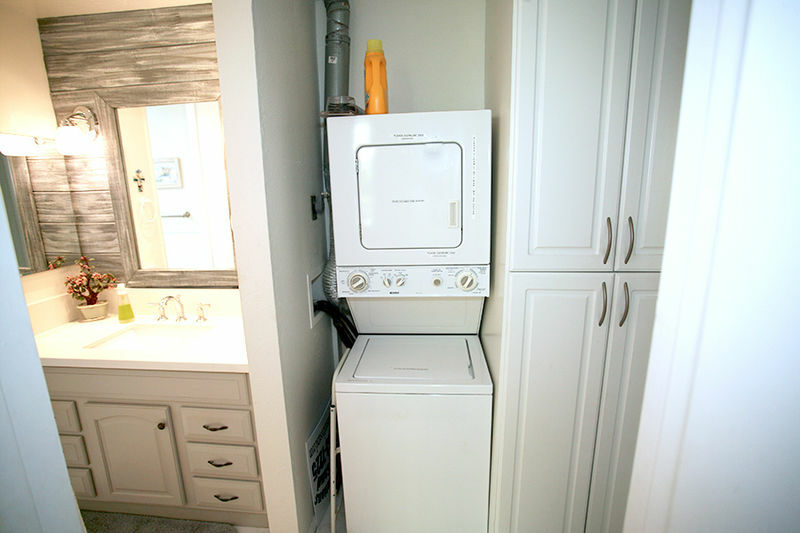 D4 is also one of the few condos with its own washer and dryer. 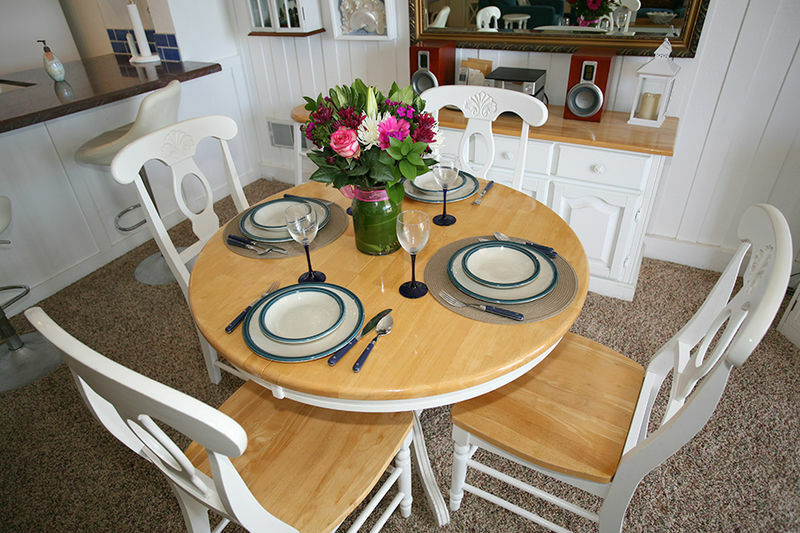 Lighthouse on the shore is fully furnished with enough sitting and sleeping to comfortably house 4. The master bedroom has a California king size bed and custom cabinets and storage on the wall. There is also seating and a TV with cable. 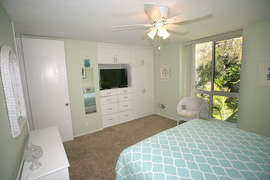 Additional sleeping is found in the main living room where there is a comfortable pull down Murphy bed. The dining area has a table with seating for 4 as well as the bar. 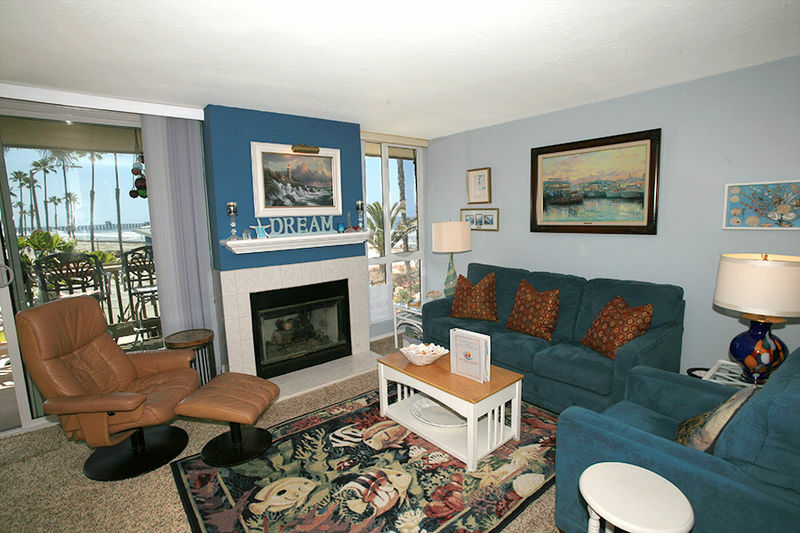 The main living area has a flat screen TV mounted on the wall, two sofas, and a rocker recliner. 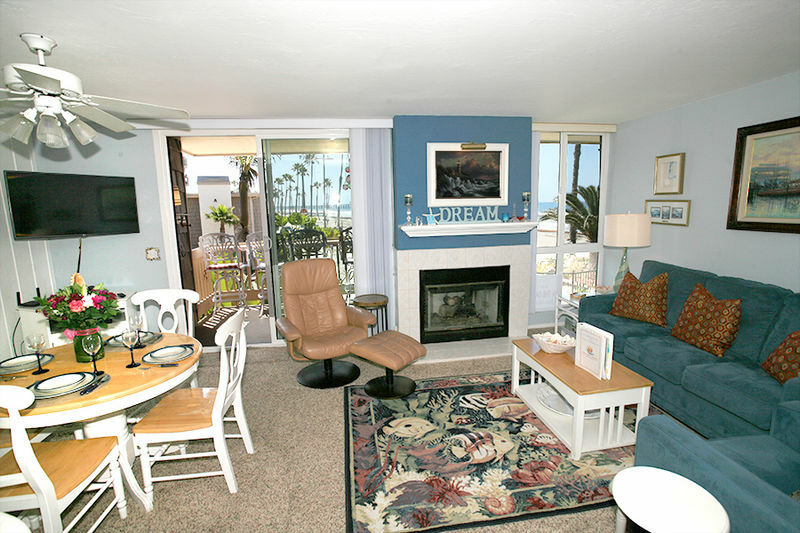 D4 also has a functioning fireplace for the winter months and is equipped with all the needed beach equipment - boogie boards, beach towels, sand toys, umbrella, and beach chairs. The complex grounds are groomed to perfection and boast a very tropical lush feel! 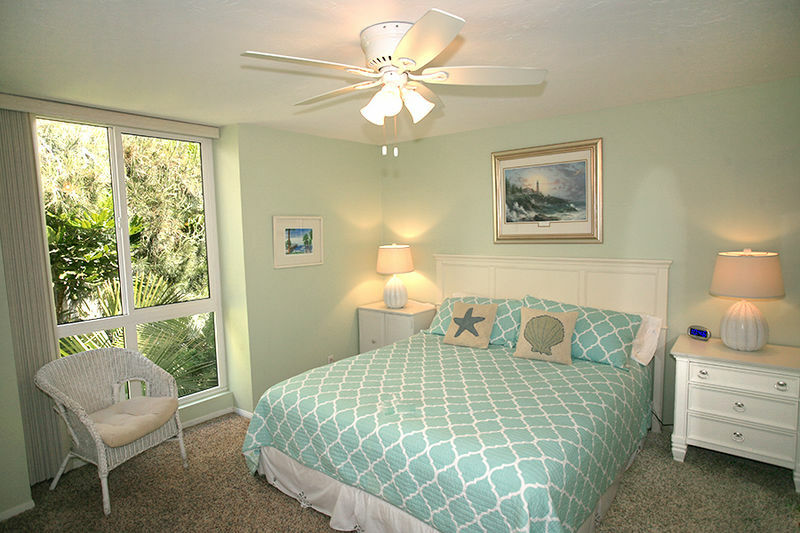 You will love taking a stroll within the gated grounds and exploring the little streams, koi ponds, fountains, and hidden alcoves. 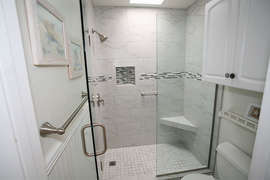 The complex is also equipped with two swimming pools, two hot tubs, a commercial grilling station, game room, weight and cardio room, and several laundry facilities. North Coast Village is truly a one stop location for an unforgettable vacation.